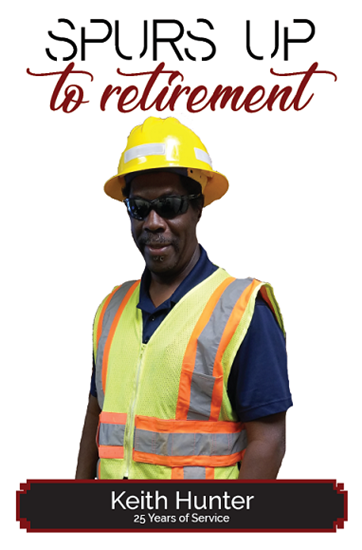 Congratulations to Keith Hunter on his upcoming retirement. Keith has been working for the Joint Municipal Water and Sewer Commission for 25 years and collectively has 39 years’ experience in the utility sector. Keith will be greatly missed by all. 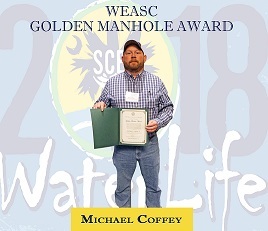 Mr. Michael Coffey received the Golden Manhole Award on March 12, 2018 at the South Carolina Environmental Conference. The Golden Manhole Award is a Water Environment Association recognition for individuals who have shown outstanding performance, dedication and lasting contribution to the advancement of wastewater collection systems. Congratulations Mike on being recognized for your hard work. Mr. Jay Nicholson was recognized for 20 years of dedicated service to the Commission at the January 10, 2018 Commission meeting. Congratulations Jay. Mr. Trent Stafford received the "Rookie of the Year" award at the WEASC Capital District meeting on January 18, 2018. 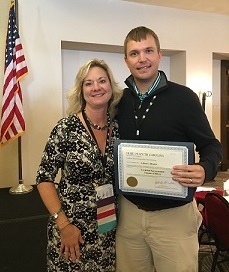 Ashton G. “Biff” Blocker, Assistant Finance Manager for the Commission was designated as a Certified Government Finance Officer at the Government Finance Officers Association of SC at its Fall Conference held in Myrtle Beach in October 2016. The GFOASC is an organization with active members representing various State agencies, educational facilities, county and local governments from around the State. Its objectives include the improvements in all aspects of governmental finance programs, the exchange of ideas and experiences among finance officers, and to promote and encourage professional competence through continuing education and training. The Association, in cooperation with the Institute for Public Service and Policy Research at the University of South Carolina developed the Certification Program for Government Finance Officers. 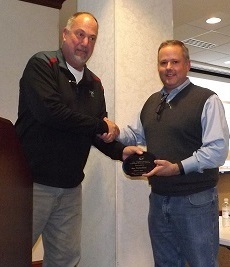 Mr. Jay Nicholson received the Lifetime Service Award at the WEASC Capital District meeting on January 21, 2016. The Government Finance Officers Association of the United States and Canada (GFOA) awarded a Certificate of Achievement for Excellence in Financial Reporting to the Joint Municipal Water and Sewer Commission for its comprehensive annual financial report (CAFR) for the fiscal year ended June 30, 2015. This was the 3rd consecutive year that the Joint Municipal Water and Sewer Commission has achieved this prestigious award. The Certificate of Achievement is the highest form of recognition in the area of governmental accounting and financial reporting, and its attainment represents a significant accomplishment by a government and its management. 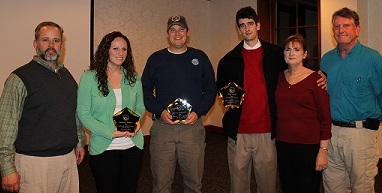 Two Commission employees received awards at the WEASC Capital District meeting on January 15, 2015. Mrs. Lindsay Jumper received the Customer Service Award, and Mr. Wesley Robertson received the Collections System Operator Award . Mr. William Frost accepted an award on behalf of his father, the late Mr. Billy Frost, for Meritorious Service for Safety in the Water Industry. 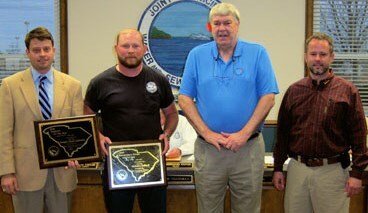 Mr. Jay Nicholson received the Arthur Sidney Bedell Award in March 2014 at the Water Environment Association of South Carolina meeting. The Arthur Sidney Bedell Award was established to acknowledge extraordinary personal service to a member association. The Government Finance Officers Association of the United States and Canada (GFOA) awarded a Certificate of Achievement for Excellence in Financial Reporting to the Joint Municipal Water and Sewer Commission for its comprehensive annual financial report (CAFR) for the fiscal year ended June 30, 2014. This was the 2nd consecutive year that the Joint Municipal Water and Sewer Commission has achieved this prestigious award. The Certificate of Achievement is the highest form of recognition in the area of governmental accounting and financial reporting, and its attainment represents a significant accomplishment by a government and its management. 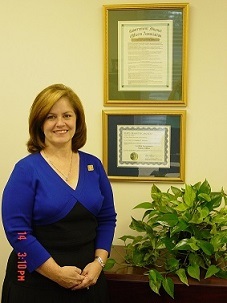 Patricia F. Mazzone, Finance Manager for the Commission was designated as a Certified Government Finance Officer at the Government Finance Officers Association of SC at its Fall Conference held in Myrtle Beach in October 2009. Mr. 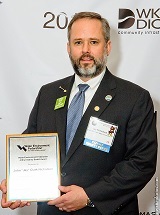 Guy Schmoltze won "Engineer of the Year for the State" at the South Carolina Environmental Conference. 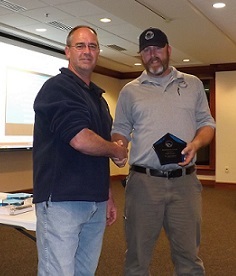 Mr. Michael J. Coffey, II received the Maintenance Person of the Year for the Capital District Award presented by the Water Environment Association of South Carolina. Mr. Jay Nicholson was inducted into the 5S (Select Society of Sanitary Sludge Shovelers) at the annual meeting for the Water Environment Association of South Carolina. This is an honorary award for outstanding service to the Water Environment Association for going above and beyond the call of duty, and performance at the district level. Mr. Nicholson also served as the Capital District Chairman for the Water Environment Association of South Carolina for the 2008-2009 year. 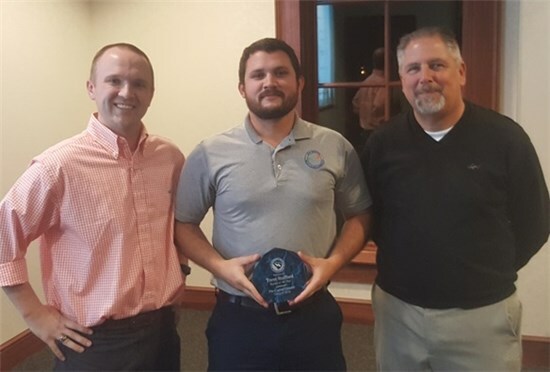 Each year at its annual conference, the SC Rural Water Association recognizes Water and Wastewater Systems and personnel for outstanding service and achievement in the industry. 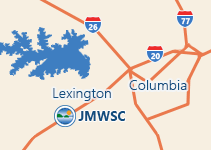 This year, at SCRWA’s 28th Annual Technical Conference and Exhibit Show, The Joint Municipal Water and Sewer Commission was awarded 2004 System of the Year – Drinking Water Category III. 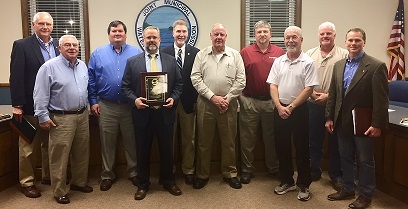 The Lexington Soil and Water Conservation District awarded Special Recognition to the Old Barnwell Wastewater Treatment Facility for outstanding service in preserving the water resources in Lexington County.